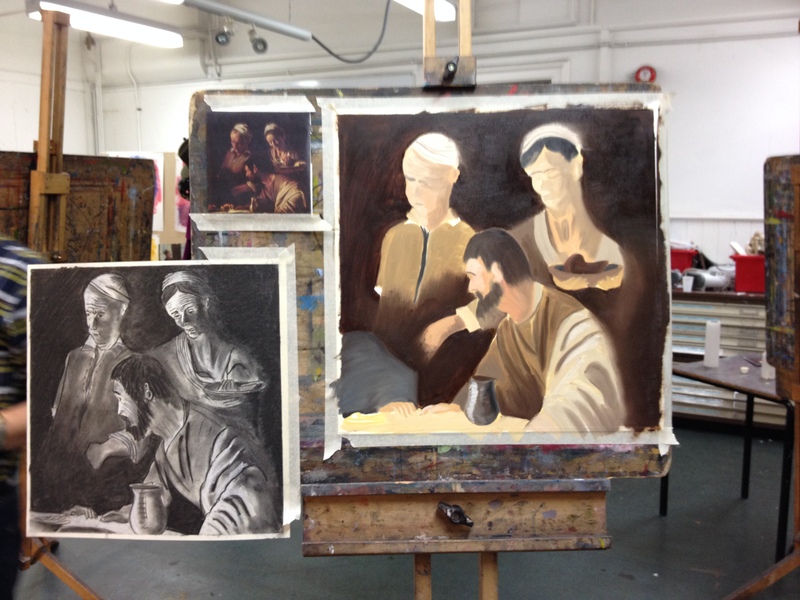 One of the projects in the Autumn term of my art course was to choose a ‘classic’ painting and attempt to reproduce it. the brief was not to slavishly copy or produce a fake – clearly I am not good enough to do that – but to focus on aspects of the painting and bring them out. 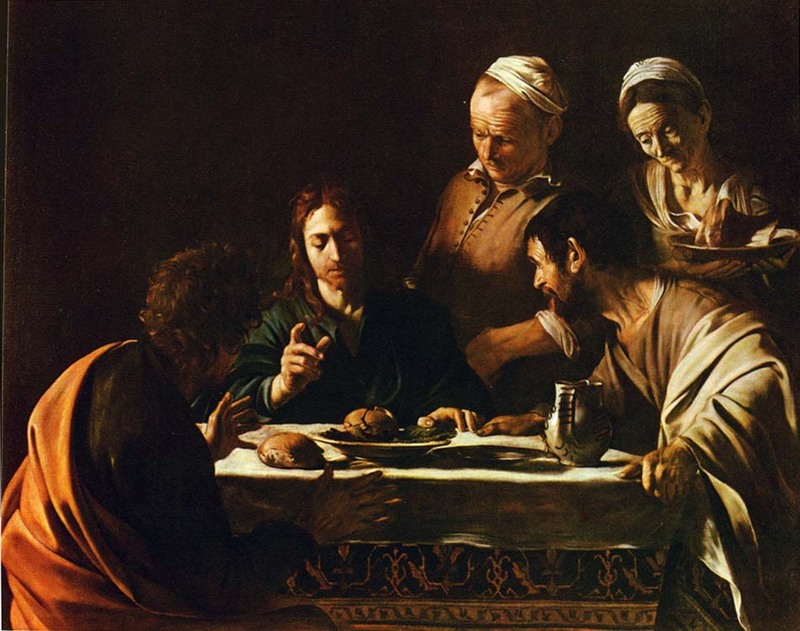 I chose this Caravaggio painting called ‘Supper at Emmaus’ (on the left) and decided to focus on the three characters to the right of the painting. 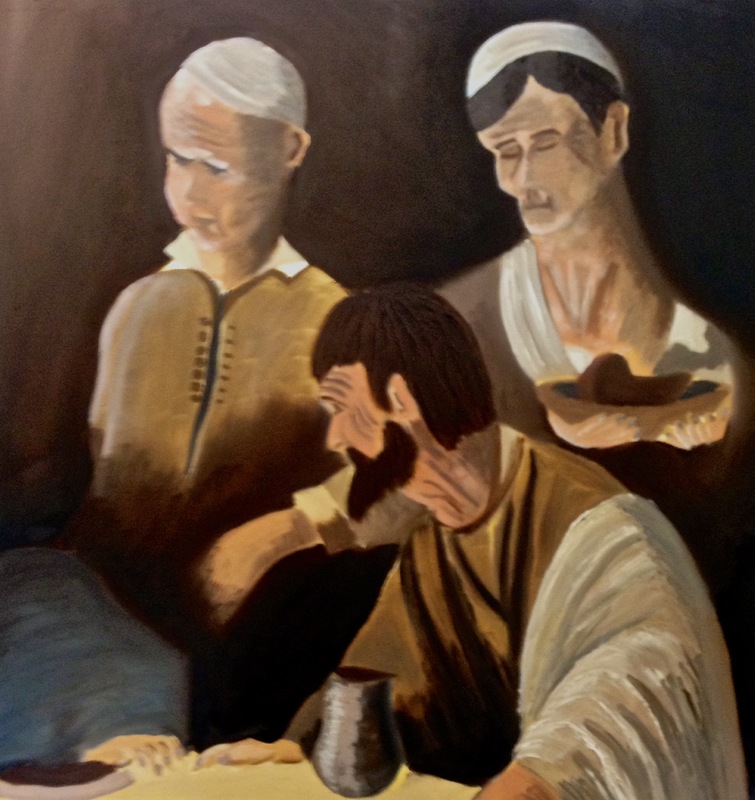 For me the great thing about the painting is the way the glow illuminates the faces and the dramatic light and dark, so that is what I focused on. 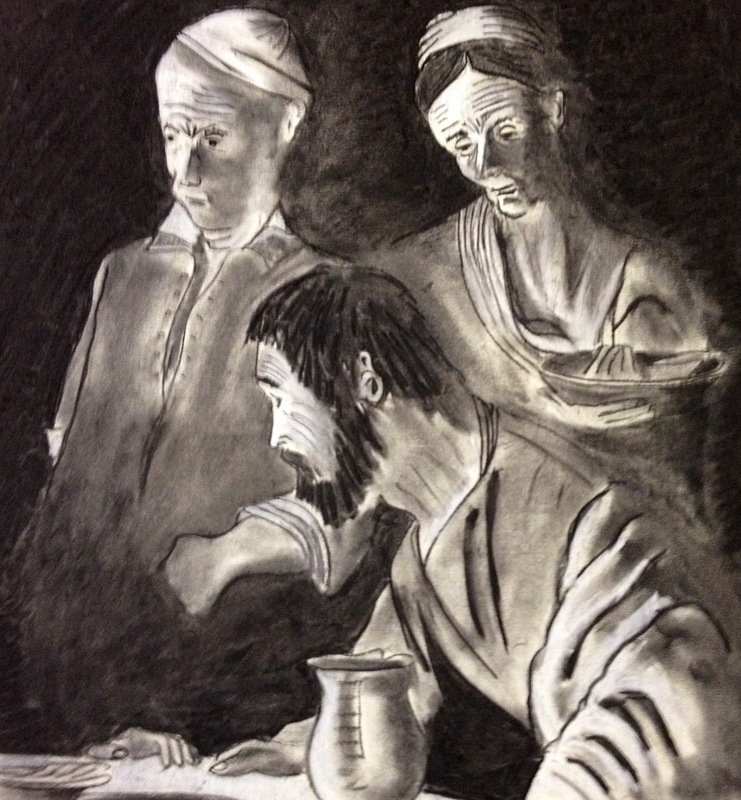 Below is the final painting. 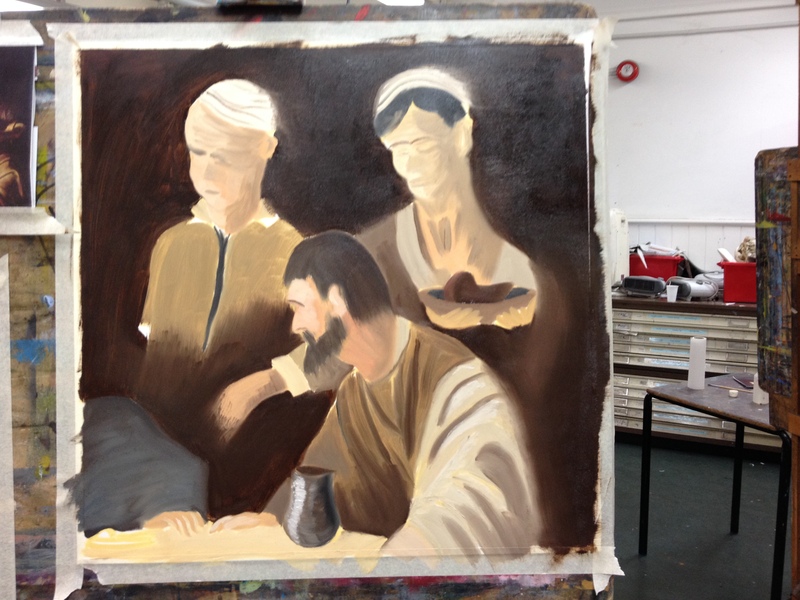 Relative to the original objective – to focus on light and colour I am fairly happy with it. The old lady has a ridiculously long neck like a tree trunk and I didn’t have any small brushes with me so the faces are as a result quite cartoony. 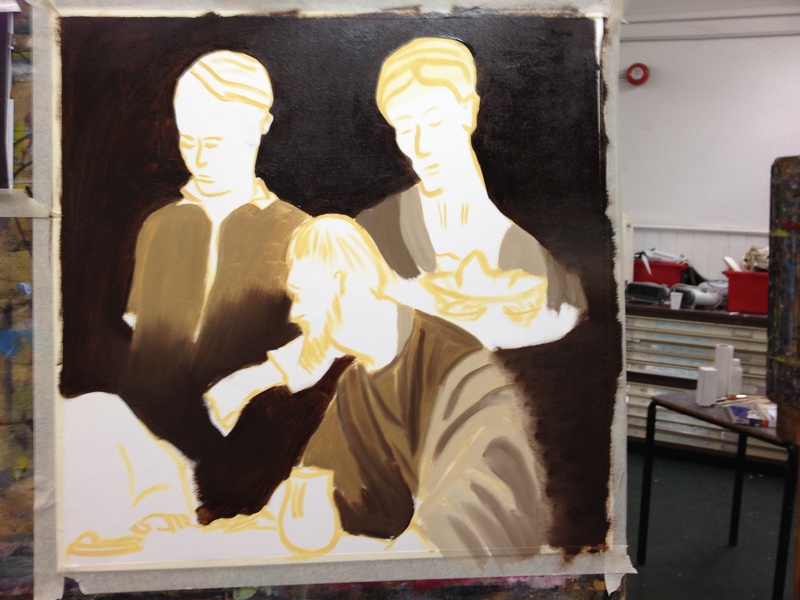 However overall it was a really useful project – I was doubtful at the start as I have never really felt motivated to paint from a painting, but I did learn from the exercise.